Realising it would be a tough going for BJP in Gujarat, the party leadership has summoned their saffron monk from Uttar Pradesh to whip up Hindutava feeling in this western coastline which will go for crucial two phase assembly election from December 9. A senior leader from Gujarat Arun Singh met Chief Minister Yogi Adityanath on Thursday night and requested him to go for a whirlwind tour of Gujarat for six to eight days campaign for Bharatiya Janata Party in the polls. “Yogi ji much in demand in Gujarat. The candidates are asking for Yogi to address just one rally in their constituency. It is not possible to accommodate Yogi ji in all over Gujarat but he will address rallies in select region,” Singh told this reporter. He did not elaborate the reason for sudden change of heart but said after Prime Minister Narendra Modi and BJP president Amit Shah, UP’s Chief Minister is BJP’s most important star campaigner. Adityanath had already participated in the campaigning in Gujarat and joined Gujarat Gaurav Yatra in mid-October. But Singh did not say that in road shows held during that time crowd was sparse. TV channels exposed as how popular Yogi is in Gujarat. He had spent two days in the state and had addressed a public meeting in the border district of Bhuj. 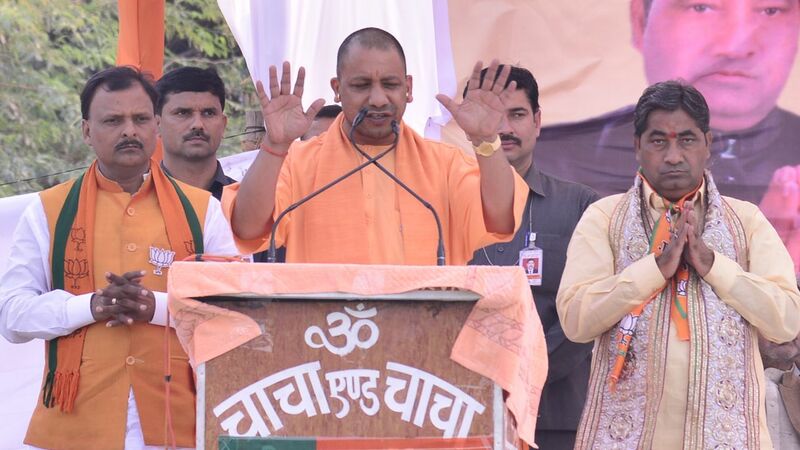 The party leadership has commissioned Adityanath because it wants to cash in on the firebrand leader’s charisma and fiery oratory skills that is liked by the electorate, especially the Hindus.